In the summer of 1281, the colossal Mongol war machine set its sights on the islands of Japan. Dispatching a monstrous fleet, their black sails loom on the horizon. 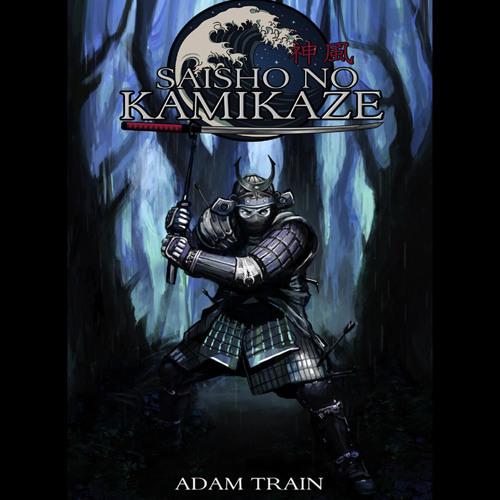 Kaito, a young samurai commander, is charged to defend the sovereignty of his nation. Written and produced by Adam Train. Edited by Tony Berry. Narrated by Derek Perkins. Cover art by Taisha Reed and Adam Train. Want more tales? Support Transcendent Tales and help bring them to life: Please Like, Comment and Subscribe! You can rate and review each tale on Goodreads - http://bit.ly/1SpegPZ Support me on Patreon - bit.ly/1Pjhqym For more fantasy and science fiction tales, or to donate, visit http://transcendenttales.com/ This is a work of fiction. Names, characters, businesses, places, events and incidents are either the products of the author’s imagination or used in a fictitious manner. Any resemblance to actual persons, living or dead, or actual events is purely coincidental. All content and characters are Copyright © all rights reserved, Adam Train, Primal Dream Productions TM and its subsidiary Transcendent Tales.